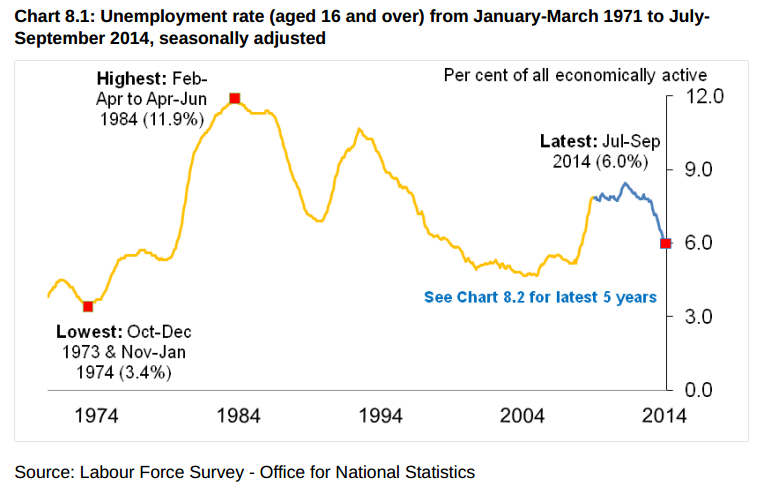 The UK unemployment rate held steady at 6% in September, but remains sharply down over the year. 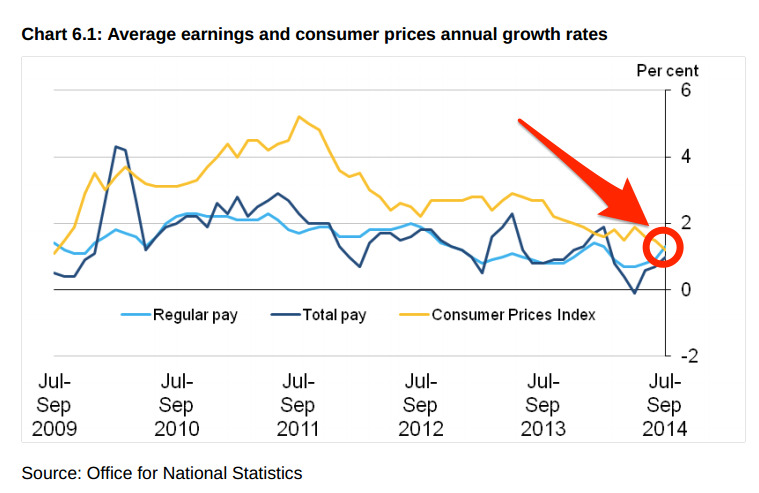 Pay was also up with pay including bonuses for employees in the UK 1.0% higher than a year earlier. 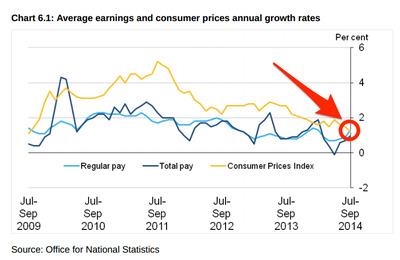 Pay excluding bonuses for employees in the UK was 1.3% higher than a year earlier. With inflation at 1.2% in September this means UK workers finally saw some real wage growth with regular pay rising faster than prices for the first time in 5 years but overall pay growth remains low relative to the pre-crisis trend. ONSWages grew faster than inflation. 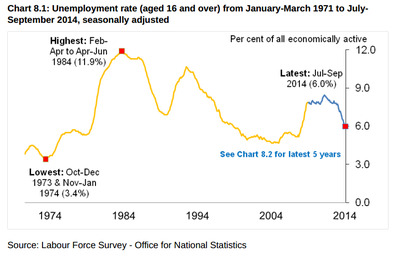 Gains in employment are now being driven by increases in full-time work with the number of people working full-time increasing by 589,000 compared to a year earlier (a 2.7% rise), while the number of part-time workers rose by 105,000. 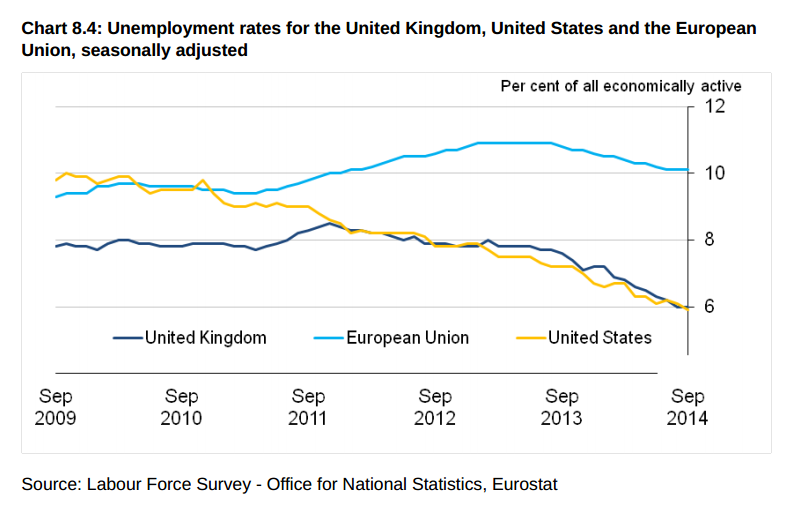 This reverses the trend seen in the early stages of the recovery with the UK seeing sharp increases in part-time and self employment. 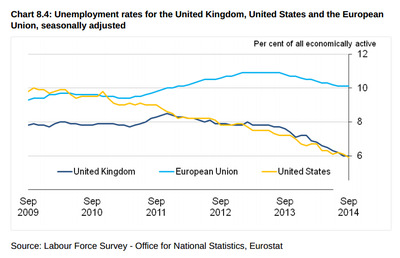 There was also a reminder that while the US and the UK have seen sharp drops in unemployment since the worst of the crisis, Europe is still languishing a long way behind.